For those of you new to cannabis, what’s inside of any variety of ganja can be a bit overwhelming. To help you navigate the sometimes seemingly endless array of weed-related jargon, we’ve prepared an intro for you on the primary source of all your favorite cannabis products: bud, or flower. Bud is the literal flower of the cannabis plant, thus why you may hear it called both bud and flower. It contains weed’s active ingredients: cannabinoids and terpenes. Cannabinoids are the chemicals secreted by the cannabis plant. Most people are familiar with the cannabinoid tetrahydrocannabinol, or THC, as it plays a primary role in cannabis’ psychoactive effects (it gets you stoned). However, there are actually at least 85 cannabinoids, each with a variety of psychoactive effects and/or therapeutic benefits. Cannabinoids interact with your body via the endocannabinoid system, or ECS. The ECS is endogenous to the human body. Your body produces its own version of cannabinoids: endocannabinoids. These help your body maintain homeostasis. How cannabinoids interact with your ECS and the endocannabinoids it produces will help determine both what kind of high you will get and what other therapeutic benefits the plant might yield. Terpenes are the essential oil of the cannabis plant. They’re what give each variety of bud its own distinctive smell. Terpenes affect the way in which cannabinoids interact with your ECS. 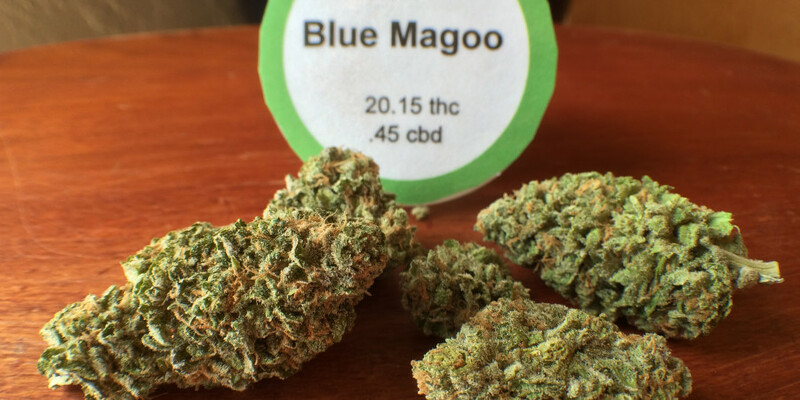 They can alter your high, or provide additional therapeutic effects. Cannabis intended for human consumption comes in two different species: Cannabis sativa and Cannabis indica. The third species, Cannabis ruderalis, contains too little cannabinoids and terpenes to be of much interest for cannabis consumers. These species refer to the plant’s phenotype — its easily observable traits, such as its appearance, smell, etc. Generally, sativas are known for their cerebral effects, and indicas for their soothing body effects. However, since indica and sativa refer to the plant’s external, easily observable traits (and not its cannabinoid and terpene composition or its genetic makeup), it’s hard to say the exact effect of a cannabis plant of either species. Further, most cannabis today is some combination of the two, often referred to as a ‘hybrid’. The strain of any cannabis plant refers to its genealogy (its parents, grandparents, etc.) A plant’s strain will tell you if it is an indica, sativa, or a combination of both. 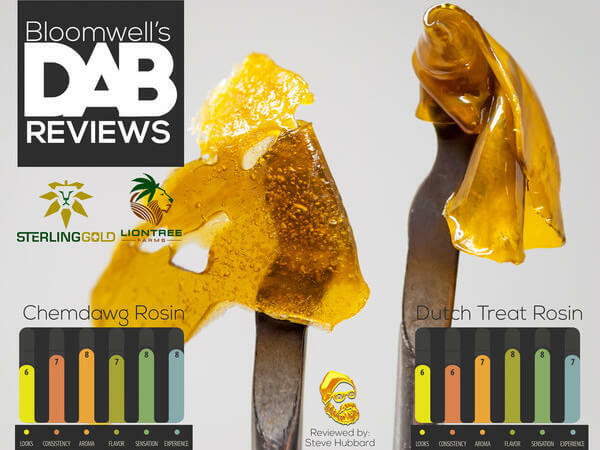 They are also generally indicative of its cannabinoid and terpene content, although this varies considerably from grower to grower. We hope you’ve found this intro helpful. Keep an eye out for further introductory posts on different cannabis products and ingestion methods, and don’t forget to stop by Substance soon to put your weed knowledge to work! As you may know, the effects of cannabis are due to its interaction with the endocannabinoid system (ECS). This is the system by which cannabinoids, the chemical compounds secreted by the cannabis plant, interact with the human body. The ECS helps the human body maintain homeostasis, meaning that it remains constant, well-regulated, and healthy. It was previously believed that the cannabis plant was the only source of cannabinoids. However, evidence is beginning to suggest that this may not be the case, and that there may be other ways to care for your ECS. In a recent paper, neurologist and pharmacology researcher Dr. Ethan Russo highlighted how some plants may be able to supplement the ECS. Below, we have outlined how some of these plants may help your body stay in balance. The endocannabinoid system has two types of receptors: CB1 and CB2. CB1 receptors are found primarily in the brain and central nervous system, although they are found in other tissues to a lesser degree. CB2 receptors, by contrast, are found primarily in peripheral organs, especially in cells associated with the immune system. To provide your CB1 receptors with some extra care, consider consuming frankincense or kava. Frankincense displays anti-inflammatory, antioxidant, and antiseptic effects similar to those of cannabis. It can be purchased as an essential oil and consumed by applying to the skin, usually with the help of a carrier oil, or inhaled. Large quantities can be toxic, however, so take care when inhaling. Kava, a root native to the South Pacific islands, can produce calming effects similar to cannabis. It is usually consumed as a tea or tincture, and can be found at most herbalists. While there were concerns over one particular preparation causing liver damage in the past, this preparation is no longer commercially available, and Dr. Russo notes that it has a long history of safe use in Polynesia. As it turns out, a variety of household items and commonly used plants may contain an agent of use to your ECS: beta-caryophyllene. Because of the way it interacts with your CB2 receptors, beta-caryophyllene has anti-inflammatory properties. It can be found in black pepper, lemon balm, cloves, and hops (which is, of course, used to prepare beer). These are just a few of the non-cannabis plants that may help care for your ECS. For a complete overview, check out this interview with Dr. Russo. Don’t forget, however, that nothing stimulates your endocannabinoid system like cannabis itself, so be sure to stop by Substance soon! As you may know, many of the effects of the cannabis plant are due to the chemical compounds it secretes, called cannabinoids. While almost everyone is familiar with the cannabinoid tetrahydrocannabinol, or THC, there are actually over 100 cannabinoids. Recent popular and scientific interest in the therapeutic effects of cannabidiol, or CBD, has brought long-overdue attention to some of these other, lesser-known cannabinoids. 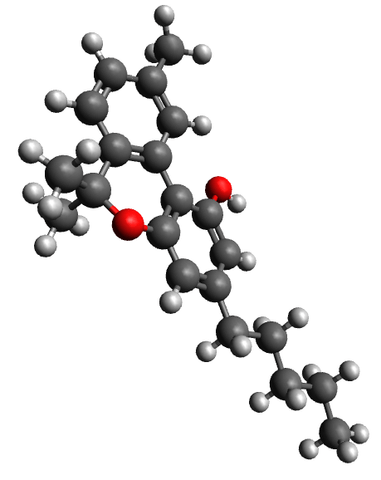 Today, we’ll be taking a look at one of them: cannabinol, or CBN. Cannabinol is a product of degradation. When cannabis oxidizes, THCA, the precursor to THC, degrades and forms CBNA. Oxidation occurs naturally with time, or with exposure to the air. For this reason, poorly-cared for and older bud will often have higher concentrations of CBNA. Upon exposure to heat or UV rays — that is, when you smoke it or leave it in the sun –, CBNA then becomes CBN. CBN and CBN-rich strains are known for inducing sleep. For those of you with insomnia or other sleep-related problems, CBN-heavy bud could be a good solution. Indica and indica-dominant strains are also known for their sleep-inducing qualities. Researchers believe that this may be due in part to their tendency to have higher concentrations of CBN. As we explored in our last post, some non-cannabis plants may also be beneficial for the endocannabinoid system. Some may also act synergistically with cannabis and cannabinoids. CBN, for example, tends to be a more effective sleep aid when consumed alongside hops, lavender, and chamomile. CBN is also known to be anti-bacterial. Studies have shown its potential use as a topical in treating MRSA, an infection caused by a type of staph bacteria that has developed resistance to many traditional antibiotics. It may also aid in bone-growth. Further research is needed, but it has demonstrated potential to help treat osteoporosis and aid the recovery of broken bones. As the body of research on cannabis grows, we will likely continue to discover therapeutic benefits of CBN and other cannabinoids. Here at Substance, we hope to continue to seeing roadblocks to this kind of meaningful cannabis research removed. Hemp has a long history in China. At one point it was so prized that the Chinese called their country “the land of mulberry and hemp.” Cannabis was a symbol of power over evil and in emperor Shen Nung’s pharmacopoeia it was called the “liberator of sin.” The Chinese believed that the legendary Shen Nung first taught the cultivation of hemp in the 28th century B.C. Shen Nung is credited with developing the sciences of medicine from the curative power of plants. So highly regarded was Shen Nung that he was deified and today he is regarded as the Father of Chinese medicine. A Chinese Taoist priest wrote in the fifth century B.C. that cannabis was used in combination with Ginseng to set forward time in order to reveal future events. It is recorded that the Taoists recommended the addition of cannabis to their incense burners in the 1st century A.D. and that the effects thus produced were highly regarded as a means of achieving immortality. In the early Chinese Taoist ritual, the fumes and odors of incense burners were said to have produced a mystic exaltation and contribution to well being. Raw cannabis contains a lot of THCA which is not psychoactive. When you smoke weed, the THCA molecule loses its carboxylic group (COOH) in the form of water vapor and carbon dioxide and becomes THC. In short, THCA becomes THC and your cannabis becomes psychoactive. This process is called decarboxylation. When you smoke or vaporize marijuana, you decarboxylate the cannabis by heating it. If you ingest cannabis and want the full psychoactive effect, you need to first decarb your cannabis before you cook with it. The lower the temperature, the longer it’s going to take to decarb your cannabis. Keep in mind that a lower temperature will allow you to lose less terpenes. Terpenes are the pungent oils that color your cannabis with distinctive flavors such as berry, mint, citrus and pine. There are many medicinal benefits to terpenes; some will successfully relieve your stress while others will promote focus and awareness. Tip: Grind your cannabis first! A course grind will allow your weed to evenly dry without losing potency from over grinding. Preheat your oven (see table above). Use an oven thermometer to check the temperature. Sprinkle your cannabis in a pie plate and then cover it well with silver foil by crimping the foil along the edge of the plate. Place in the oven (see table above) – less time for older drier material, more for fresher material. After required time, turn the oven off, and remove cannabis. Let it cool down slowly before you unseal the container to allow any cannabinoid/terpenes vapor to reabsorb into the cannabis. Sprinkle hash/keif on pie plate, cover with silver foil and crimp foil along edge of plate. Place sealed dish in oven for (see table). Remove plate and let it cool down slowly without removing cover to allow any vapors to reabsorb into cannabis. Place the cannabis flower/keif/hash into a boilable cooking pouch. Seal it. Place in boiling water for 90 minutes. Make sure water does not boil dry. Take bag out of water. Let it slowly cool before opening. Place heat proof container of cannabis oil into a cooking oil bath (canola oil works well). Heat cooking oil to 121C/250F. Stir cannabis oil to break up bubbles. Remove cannabis oil from heat when bubble formation starts to slow down — or leave on heat until all bubbles stop for increased sedative effect.